The Developer has designed the property for a professional executive with a family. 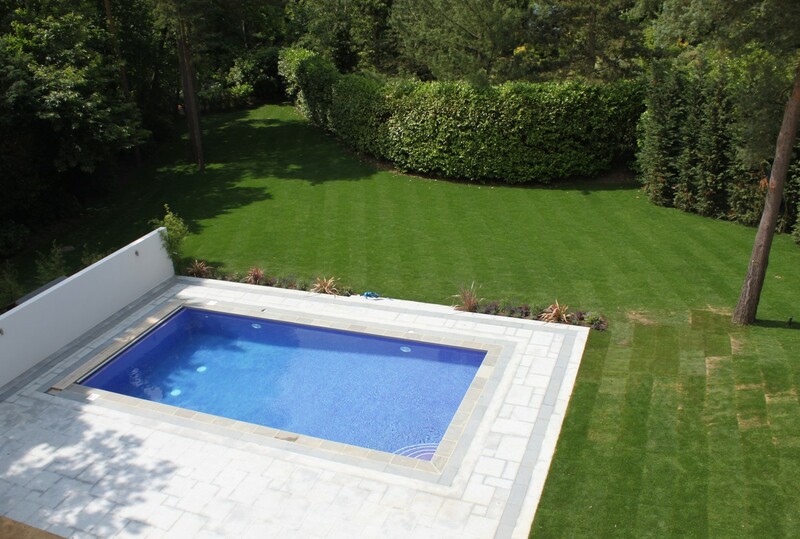 The garden therefore had to reflect this and include a large entertainment terrace and swimming pool. The design had also to take account of the archaeological remains and a close liaison with English Heritage was required throughout the construction stage. Privacy is key and thus screening of surrounding properties was of key importance. 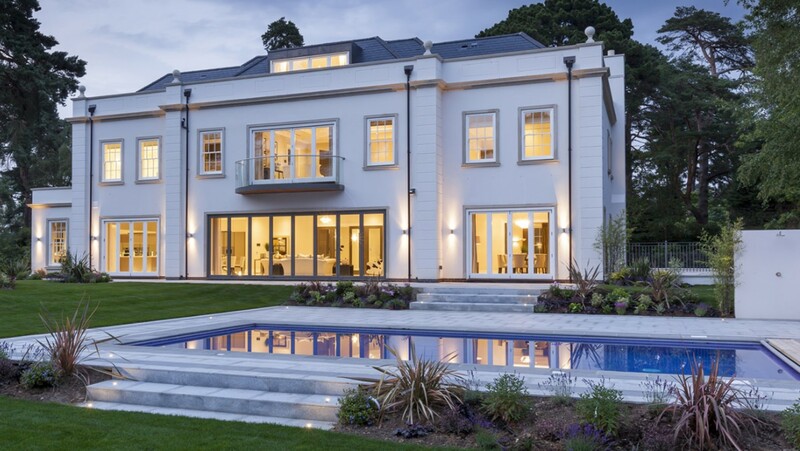 Located in one of the most prestigious estates in Surrey, the sloping, wooded site includes ancient Roman remains which required protection. 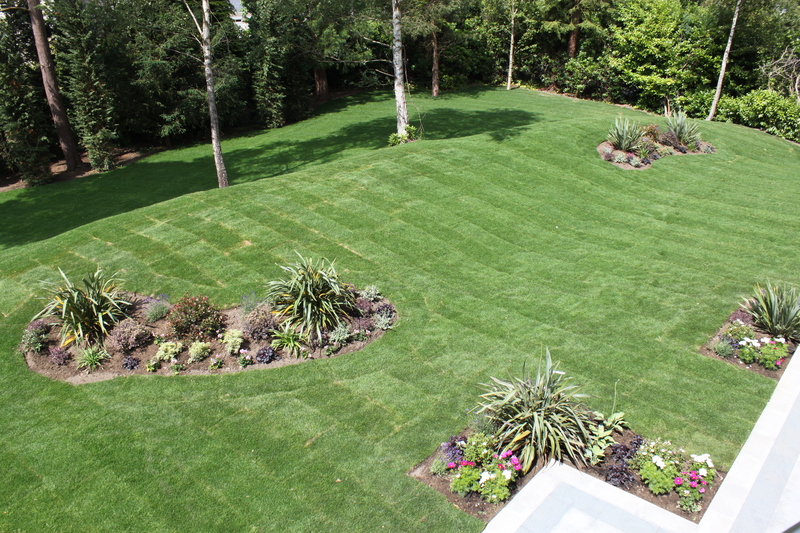 The new house is built towards the front of the plot, maximising the size of the rear garden. The design contoured the plot to reduce the impact of the archaeological by creating pleasing mounding. The existing poor quality trees were removed and more attractive indigenous specimens planted. The boundary was planted with 7m high conifers to improve the privacy. 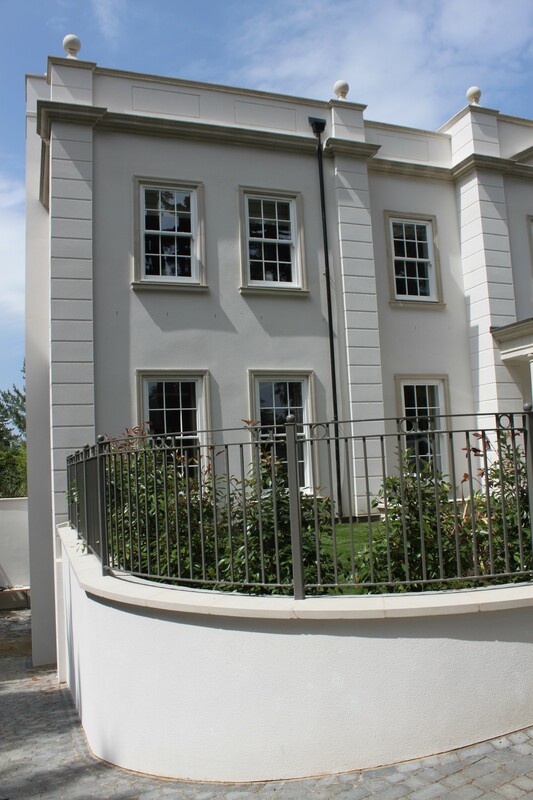 Contemporary engineered granite was used to construct the terraces which was in keeping with the clean lines of the house. Generous steps lead down from the upper terrace to the pool and on to the garden itself.